Food writer Ronni Lundi will visit Carolina as an artist-in-residence with the department of American studies. In addition to her residency Feb. 26-March 6, she will give a public lecture on March 1 at 5:30 p.m. at the Pleasants Family Assembly Room in Wilson Library. The event begins with a 30 minute reception that includes food and live music, and the presentation will start at 6. Johnny Autry, the photographer for her James Beard Award-winning book Victuals, will join her for the lecture, and they will talk about their collaboration and efforts to convey the stories about food both on the plate and away from it. Born in Corbin, Kentucky, Ronni Lundy has chronicled the south and its people as a journalist and cookbook author for the past 30 years. Most recently Lundy has married these two paths in Victuals: an Appalachian Journey, with recipes. Integrating personal narrative with traditional cookbook format, Victuals is breathtaking in both prose and imagery, and the recipes create a tapestry out of Appalachian cooking that belies the media-driven image of mountain folk, instead offering a rich and revealing portrait of a complex, heterogeneous region, one that clings to traditions while being redefined by a new generation of chefs, farmers and food artisans. The photos, by Johnny Autry, work equally hard not to trade in stereotypes, capturing real people and the natural beauty of the mountains without romanticizing them. In 2017, Victuals, received the coveted James Beard Award for Book of the Year, as well as best American Cookbook honors from both the Beards and the International Association of Culinary Professionals. The book was also shortlisted for The Art of Eating Prize and reached the Elite Eight in the annual Piglet competition. 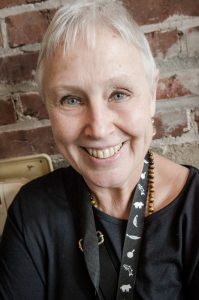 A founding member of the Southern Foodways Alliance, Lundy is a former board member and recipient of that organization’s Craig Claiborne Lifetime Achievement Award recognizing her work as a writer covering both food and music. Lundy is also a founder of the Appalachian Food Summit. The D-Day landings on the Normandy Beaches on June 6, 1944, marked a turning point in World War II, yet the meaning of this event was shaped by other strategic actions before and after the D-Day assault.This seminar, which comes on the eve of the D-Day anniversary of the Normandy campaign, offers the unique perspectives of UNC-Chapel Hill’s distinguished emeritus historian Gerhard Weinberg. Professor Weinberg will use this 75th anniversary of D-Day to reflect on the broader context of the political and military conflicts that preceded and followed the famous Normandy landings. More generally, this seminar will examine America’s role in the last phases of World War II and analyze how the Battle of Normandy provided a military strategy for the ultimate Allied victory.